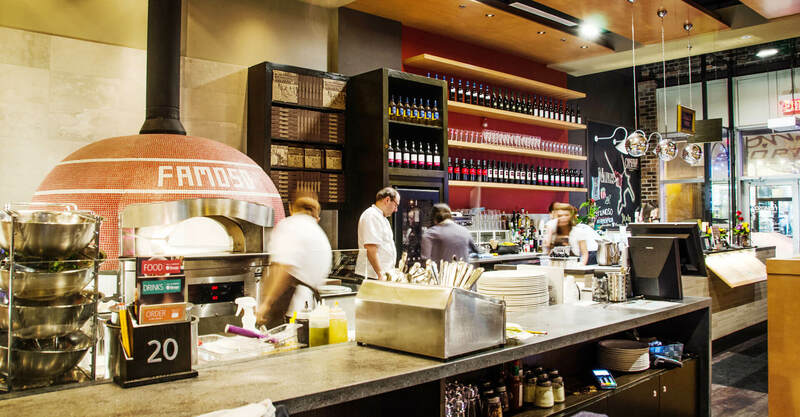 When authenticity is the backbone of your brand, you need an environment that is the real deal. 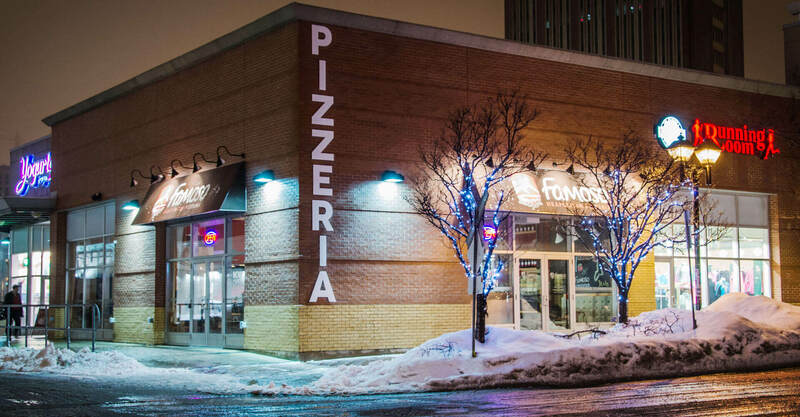 Famoso, with more than 20 Canadian locations, prides themselves on being an authentic Neapolitan “pizzeria” – something entirely different than the glut of pizza places, joints, restaurants, or whatever else dominates the Canadian pizza scene. 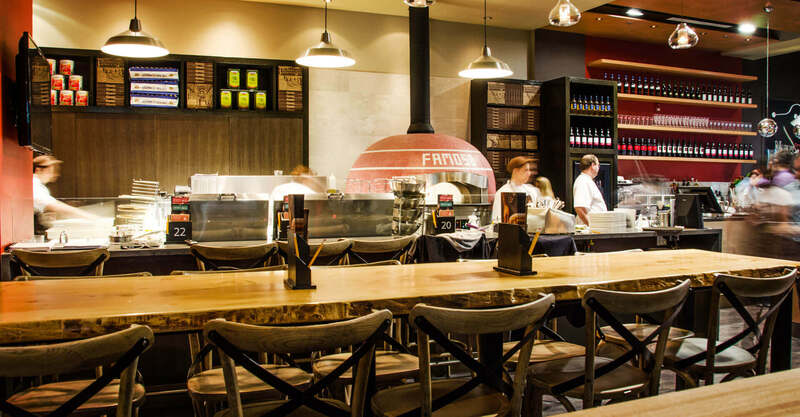 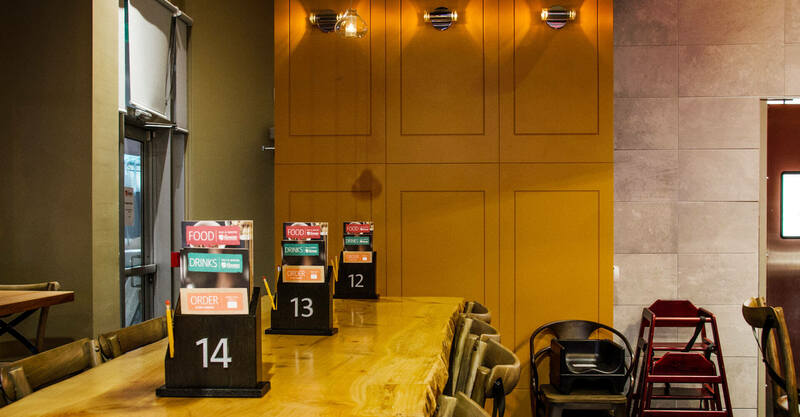 In order to truly create the social neighbourhood dining option that defines a true Italian pizzeria, Famoso asked us to help them with their guest experience. 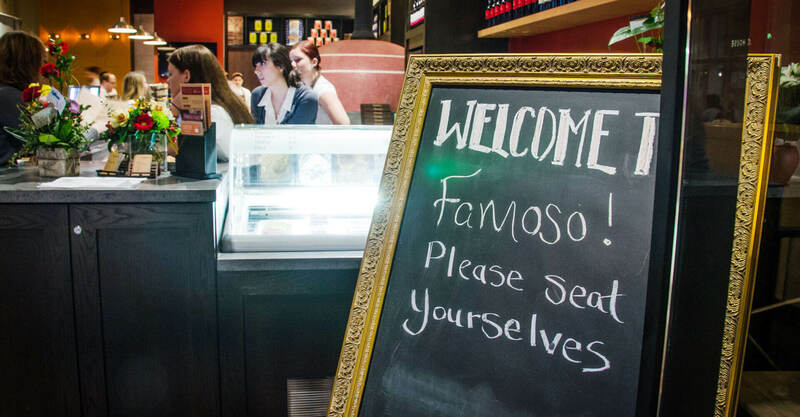 Famoso wanted to elevate their environment without being pretentious, creating a neighbourhood hub where folks could have a drink, watch the game, and eat great pizza. 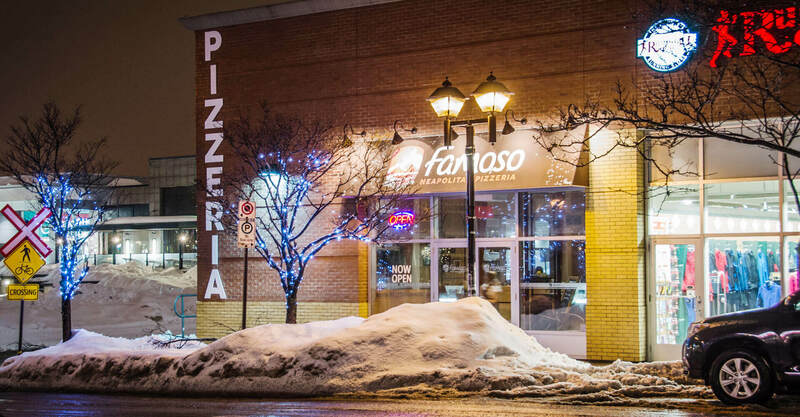 Just like every great pizza starts with the crust, every restaurant starts with a location, and Famoso’s Regina pizzeria presented both opportunities and challenges. 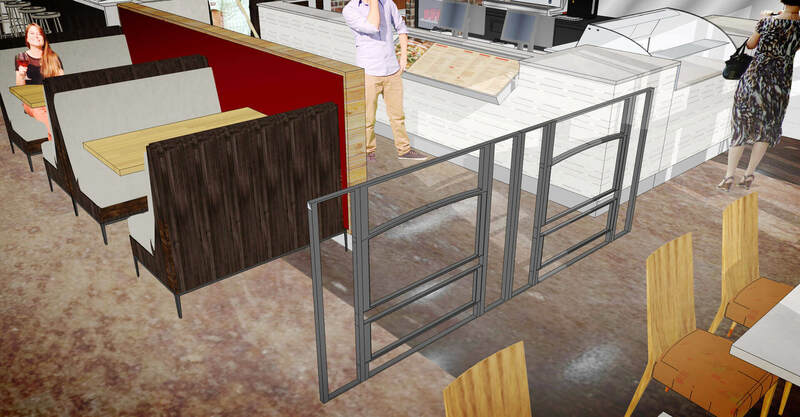 First, the site at the base of an office tower used to be a bank, and some reworking of the entrances was required to make the new Famoso concept work in the space. 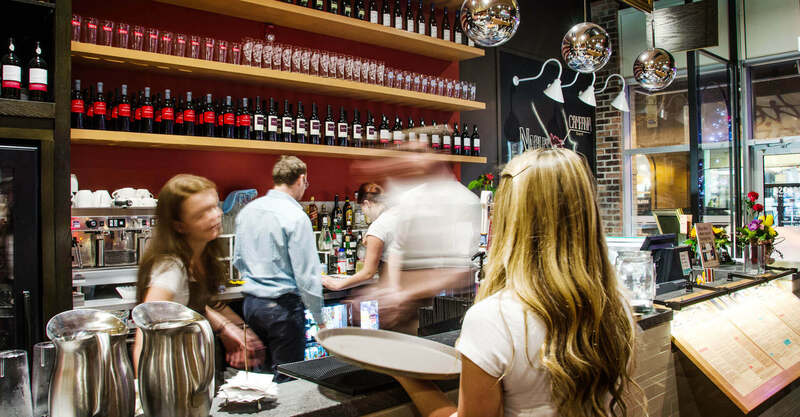 In Regina, the exterior entrance now opens up to an outdoor patio in the summer months, while in Waterloo it opens on to the main street. 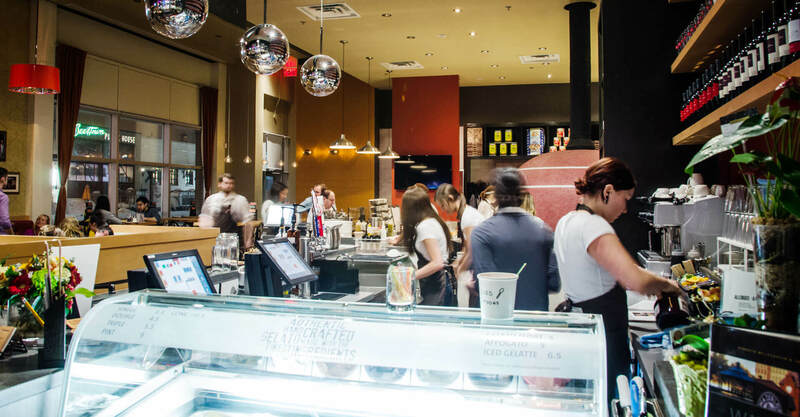 The entrance on the inside in Regina provides a direct sightline from the building lobby to the theatre of the open kitchen inside, whereas a similar effect in Waterloo is achieved with full height windows on the one side creating that opportunity to entice passers-by. 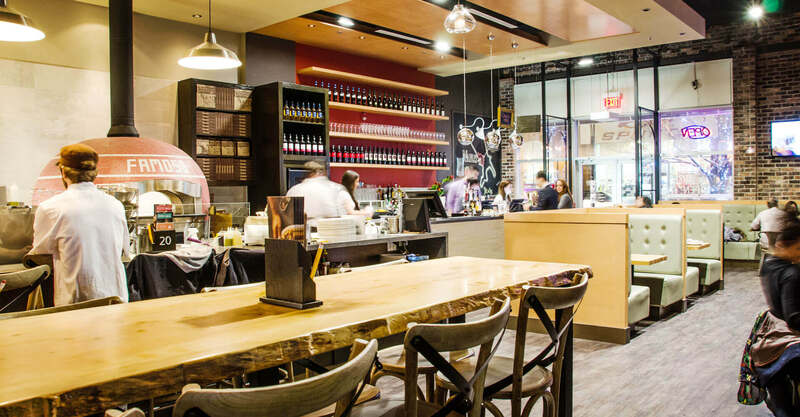 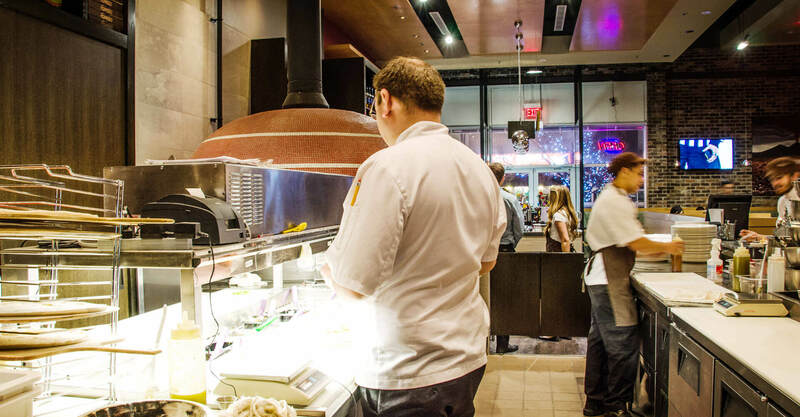 Seating around the bar is highly sought after, as it gives customers the best views of chefs tossing dough and the efficiency of the 90-second bake from the stone-fired oven. 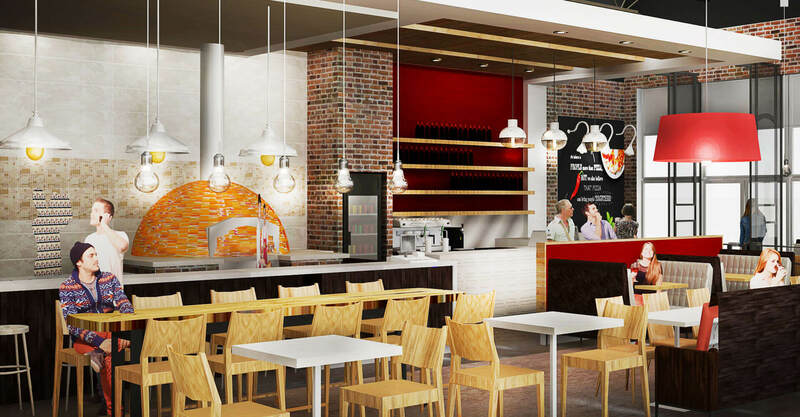 The pizza oven, imported from Italy, lends authenticity to the food and creates a level of expectation in the guest. 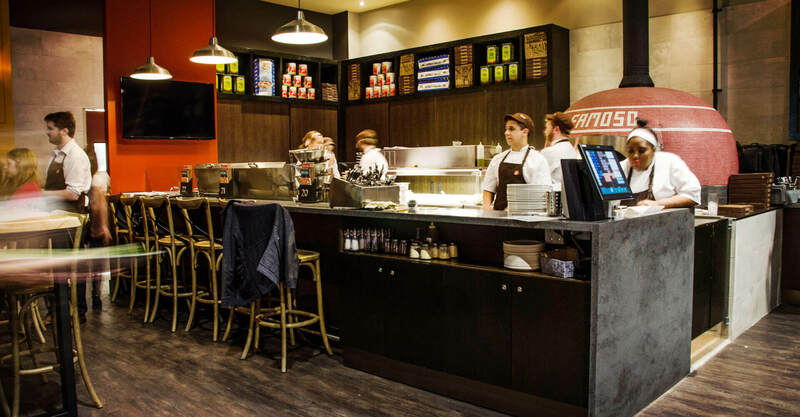 It also provides an opportunity for an infusion of local flavour – the oven in Regina is clad in green, black and white tile, representing the colours of the hometown Saskatchewan Roughriders. 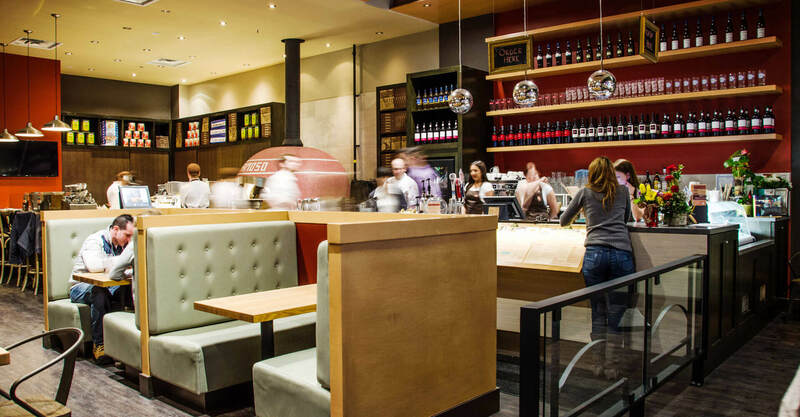 The 60-70 seat restaurants are now neighbourhood hangouts, with customers coming for pizza but staying for drinks and friendly conversation. 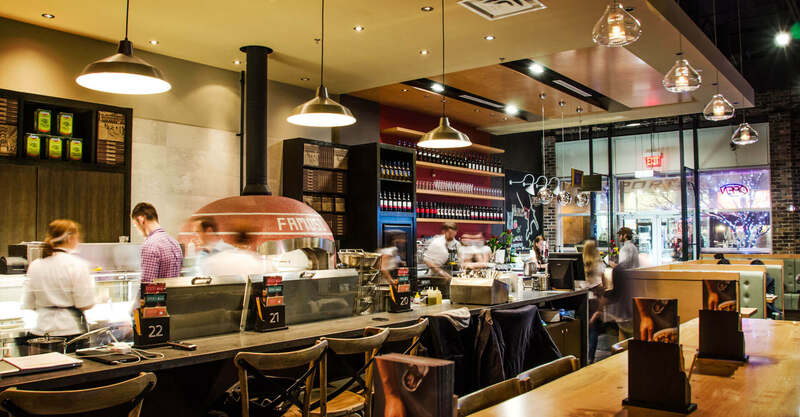 The warmth and approachability of the concept has given Famoso the ambience they desired to create a true “pizzeria” feel, right here in Canada.